SSL Live. L350Smaller but still mighty. 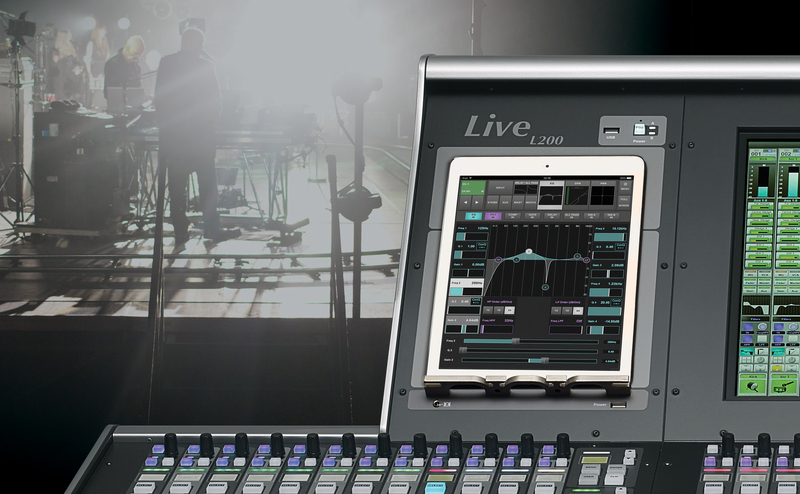 The SSL Live TaCo (Tablet Control) mix app provides wireless* tablet control of SSL Live consoles from iPad and Android devices. On stage TaCo can be used by both monitor engineers and artists. The app can be limited to control an individual Aux mix or unlocked to quickly and easily control all mixes from a single screen. Multiple tablets can be connected simultaneously for providing mix capabilities to each performer on stage. TaCo utilises the same Query technology as the Live console, meaning only the channels routed to the selected Aux are displayed. Using the Live console’s Stem groups, input channels can be combined into logical sub groups to provide the performer with a simplified set of faders. TaCo’s Engineer Mode offers the ability to remote control all channel processing parameters for individual paths. TaCo can also be used to control Effects Rack Processor parameters, bus, Mute Group and VCA assignments as well as Input parameters. TaCo is especially useful for L100 and L200 users when it is positioned on the Tablet Tile, providing a channel processing control interface within easy reach. Selecting a path on the console will display that path’s processing on the tablet. L100 and L200 users now have a choice between adjusting processing parameters from the main screen, quick controls or a tablet running TaCo. L500 Plus and L300 users can also benefit from TaCo as an extra control surface in this way. A Link Channel Control Tile setting can be used in conjunction with Focus Fader lock to keep one path displayed on the tablet screen at all times. The SSL TaCo mix application is available for free, for iOS from the App Store, and for Android from Google Play. Due to the significant number of new features included in the most recent version of TaCo, its compatibility is limited to the corresponding latest version of console software. If TaCo has been automatically updated through the app store before the console software can be upgraded, a legacy version of TaCo can be installed to connect to the previous version of console software. Search the app store for "SSL Live TaCo Legacy" to download or click here to download on the Apple App Store or here to download on the Google Play Store. The connection procedure is identical to the latest TaCo app. Both versions of the app can be installed concurrently if required. 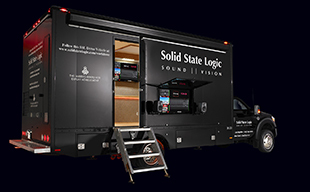 TaCo Compatibility: Requires an L200, L300, L500 or L500 Plus Live console running V4.5 software or higher. A wireless router or access point is required for wireless connectivity.